The road ahead is impossibly narrow, barely wider than our 2018 Renault Captur, yet it’s actually a two-way road. Passing areas every 100 yards or so provide a haven when cars appear ahead. Preferably, that’s with plenty of warning, but more often than not, it’s all-of-a-sudden from around a blind dip or curve. Never has the posted speed limit seemed like such a prudent idea. The thing is, the A861 on the Ardnamurchen peninsula in the western Scottish Highlands isn’t some defunct logging road we’ve stumbled upon because of a faulty navigation system or overly ambitious wanderlust. Though the area is certainly populated by more sheep than people, it’s far from the most remote place you’ll find in Scotland. This is a road that’s actually necessary for reaching a variety of villages and seemingly well-travelled, most notably by Ford Transits and other delivery vans that are without question the speed demons in these parts. The Royal Mail clearly prides itself on swift delivery. Subcompact SUVs are marketed and genuinely best-suited to those who live in more densely populated urbanish areas, but out here, this one makes a ton of sense. 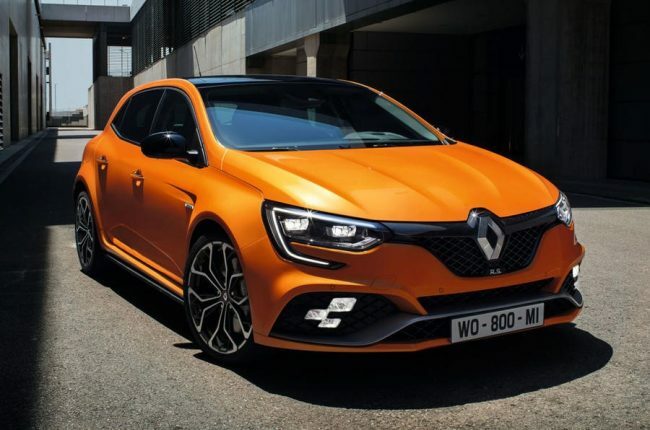 Based on Renault’s subcompact Clio hatchback, the Captur is 2 inches shorter in length than a Hyundai Kona but roughly equal in all other dimensions. It would be one of the smallest subcompact SUVs if it was sold in North America. The interior is a different story. I’d say it’s aged poorly, but I remember 2013, and it wasn’t like this. The Captur’s ergonomically hapless cabin seems to have been designed by a car company whose designers hadn’t actually sat in another brand’s cars in decades. Distinctively for the segment, the Captur’s 60/40-split back seat also slides forward to free up cargo room by either pulling bars under the seat or a unique single bar behind it in the trunk. Using this feature allowed us to fit two large, must-check suitcases without utilizing the under-floor storage area and therefore finding some place to store the rigid floor panel. It’s the only thing in the Captur’s cabin that competitors would be wise to copy. Driving has become so easy, and if you love driving, adding the mental and physical exercise is perpetually rewarding. Shift with your left hand. Wring the necks of 90 French horses. Drive on the left side of the road. Brake hard for nine Scottish sheep in that road. Instinctively slam your right arm into the door in a futile attempt to downshift. It’s a blast.